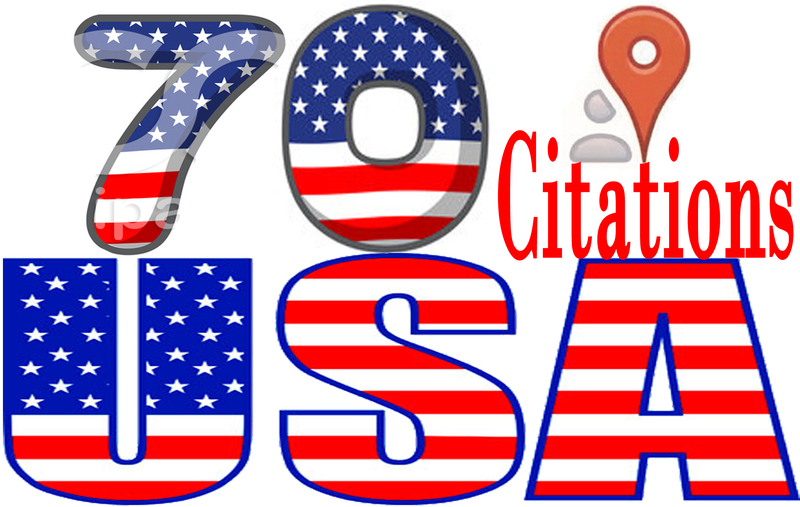 Do Manually TOP 70 USA Local Business Citations for Local SEO. I always ensure best quality work. I will create business listing/citations best USA local citation sites to help search engines (especially Google) and new customers find your business online. I will manually create 70 USA 100% live citations in high PR and high DA local directories. Local Citations helps to boost Google place ranking and local business in online. Local Citations are highly recommended for better Google local search results.I Will manually listing Top 70 Citations for USA Local Business to boost your google places. Satisfaction Guaranteed!!! *CITATIONS* TOP USA Business Submission* we will add your business or site in 70 local business directories manually.. I will provide you the best work in Excel sheet with full login details so that you can edit it in future ..so order me now and boost your sell today.....!!!! Do Manually TOP 70 USA Local Business Citations for Local SEO. I always ensure best quality work. is ranked 5 out of 5. Based on 3 user reviews.